Packed with more technology than meets the eye, the new Dice fires up the night with an incredible amount of light, and stands out in broad daylight with some intense flashes. It also senses day and night, automatically switching to the optimal flash mode. 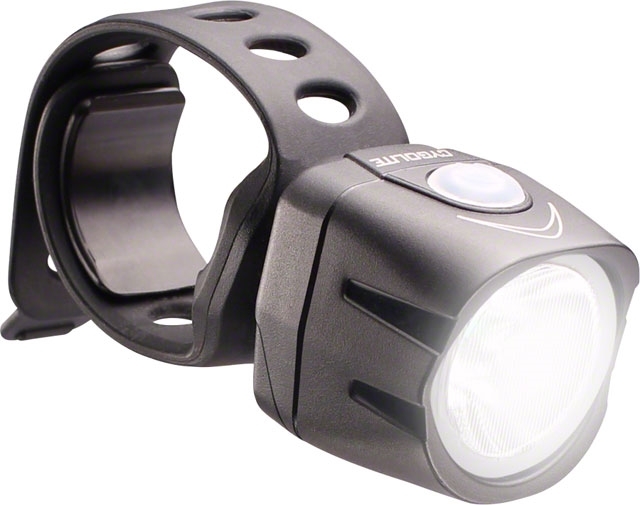 The Dice Duo is a headlight and taillight in one, one light to do it all. "Founded in 1991 by a group of Southern Californian cycling enthusiasts who envisioned bicycle lighting systems utilizing the latest technology with trend setting designs, Cygolite developed a line of systems that made it synonymous with innovation and quality. Over 20 years later, we still lead the way, creating rechargeable lighting systems inspired through test rides on the trails and roads then engineered and assembled in our California headquarters." These include a mount for bicycle handlebars. A lumen is a measure of the total "amount" of visible light emitted by a source. The higher the lumen rating, the brighter the light. In stock orders usually ship in 1-2 business days. This gives you an estimate of when an item should be available to ship once ordered. Sorry. This product is sold out and not currently available. Sorry. This product is not currently available. Modern Bike can email you when it is in stock. What is your email address? Please make sure to enter a valid email address and try again. Thank you! We will email you once this item is available. Modern Bike can send you an email message with a link to this product page. What is your email address? Thank you! We will send you an email message with a link to this product page.